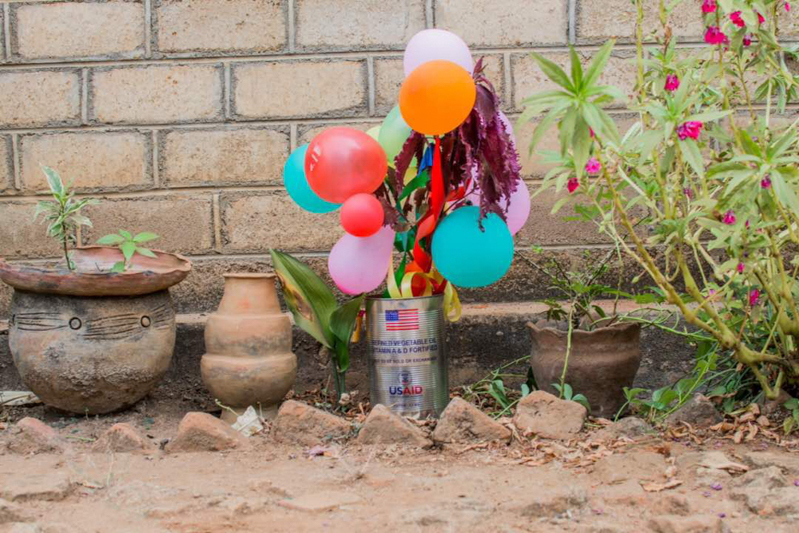 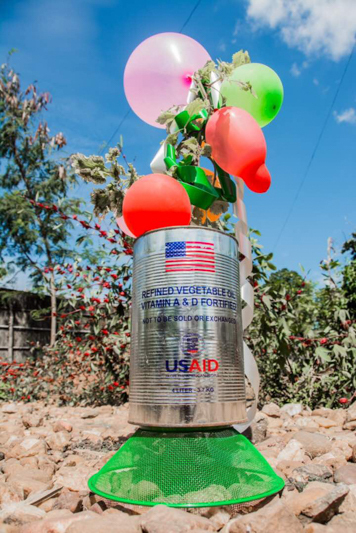 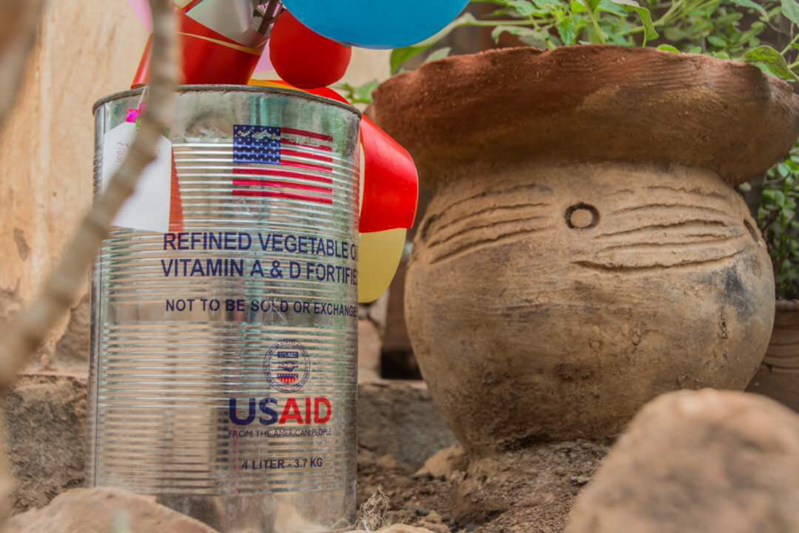 In Malawi, a country whose economy is propped by donor aid, empty USAID vegetable oil tin cans are repurposed and put to various uses. 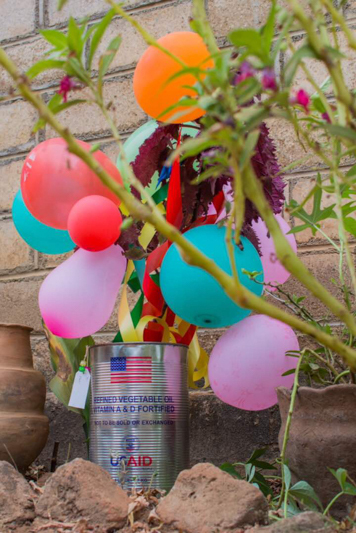 For example, the tins, which are sold in local markets, are used to hold potted plants, or cut and flattened, they can seal canoes. 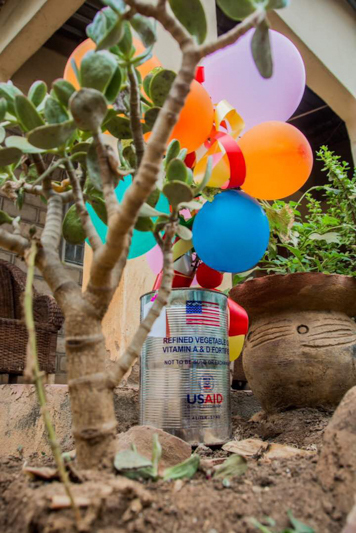 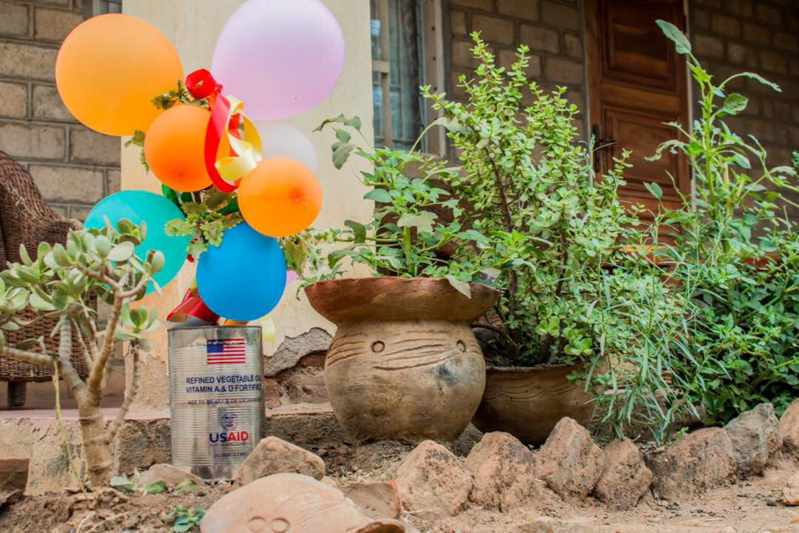 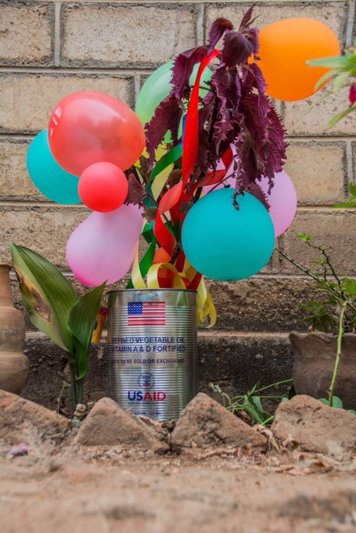 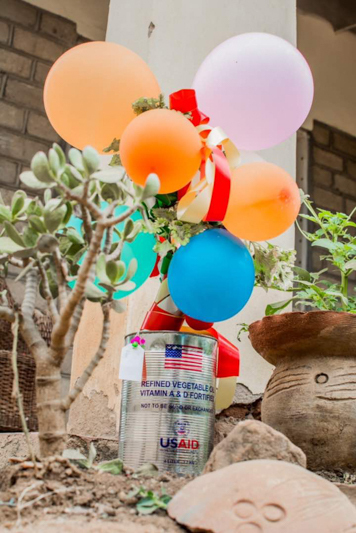 In Mozesi, the flower locally called Mozesi (Moses) is planted in the USAID tin can and tended for a month and a half. 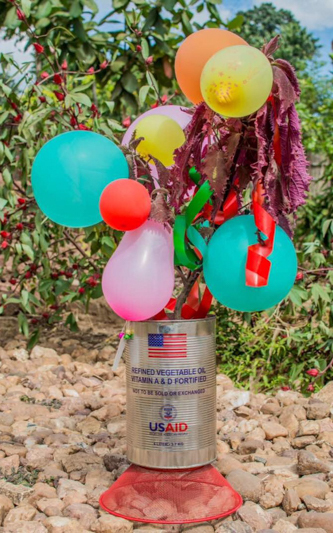 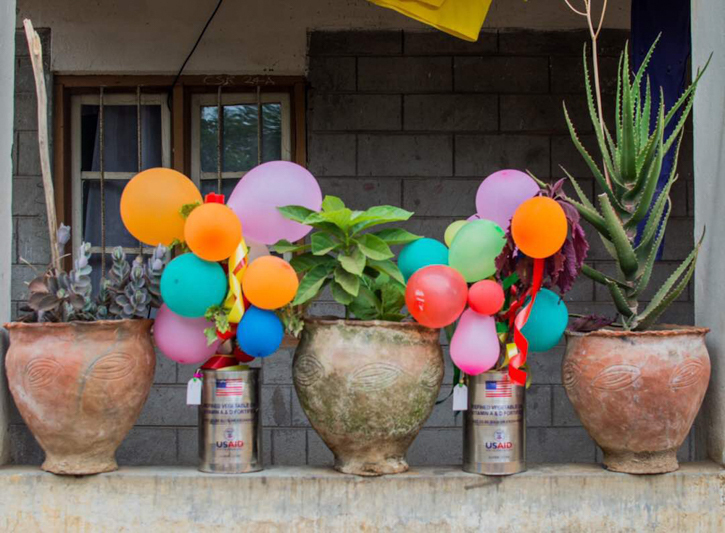 Balloons and ribbons (made in China) are then attached, overburdening the wilting plant.